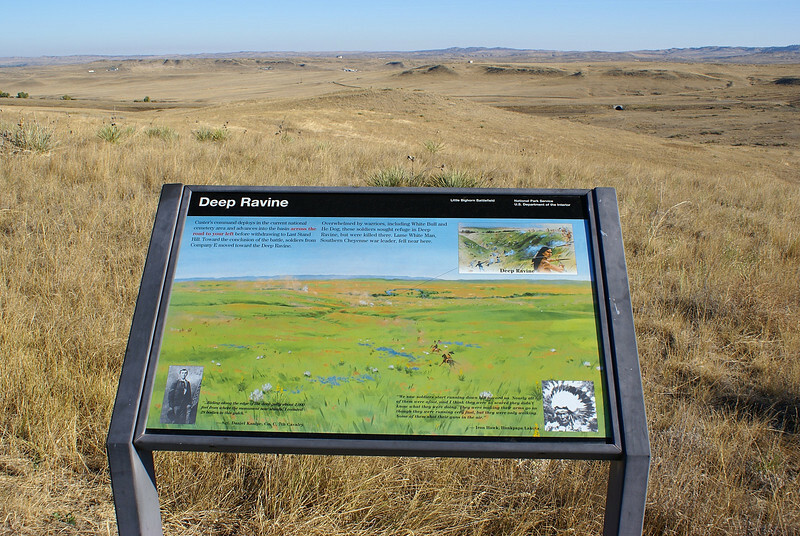 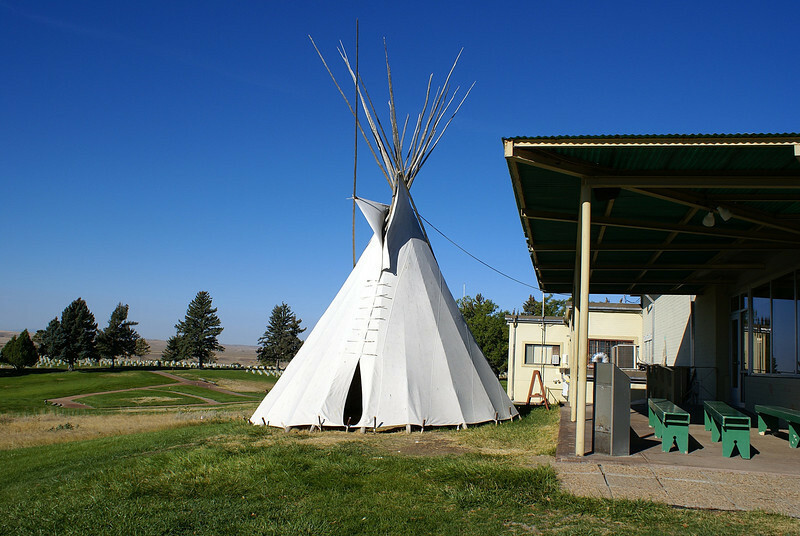 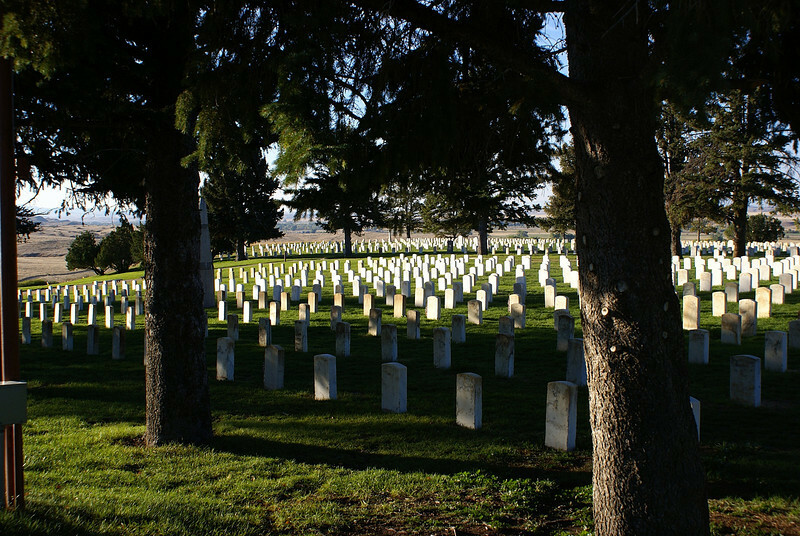 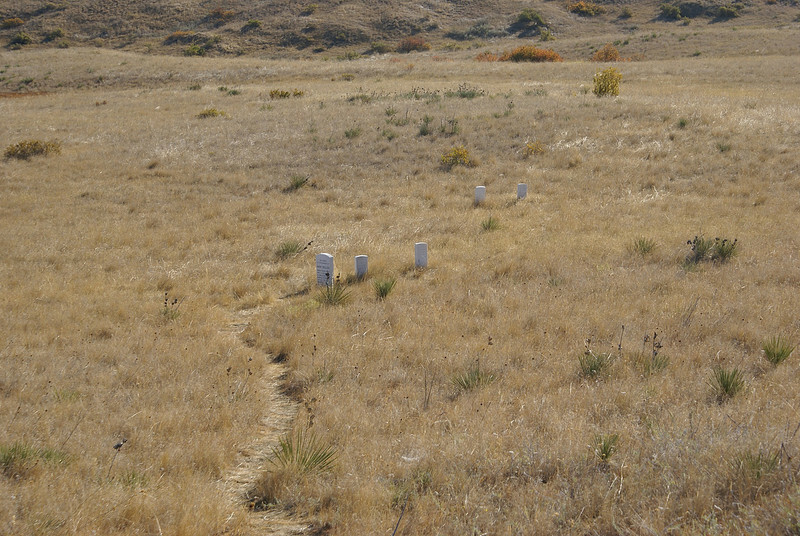 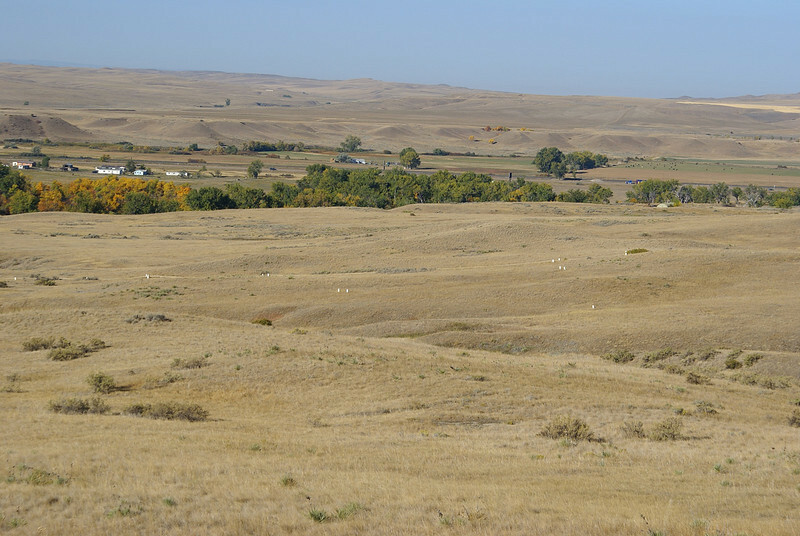 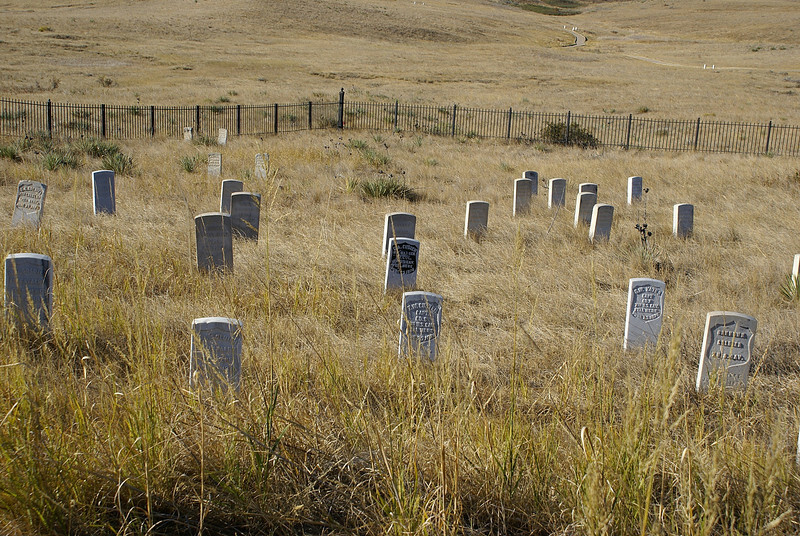 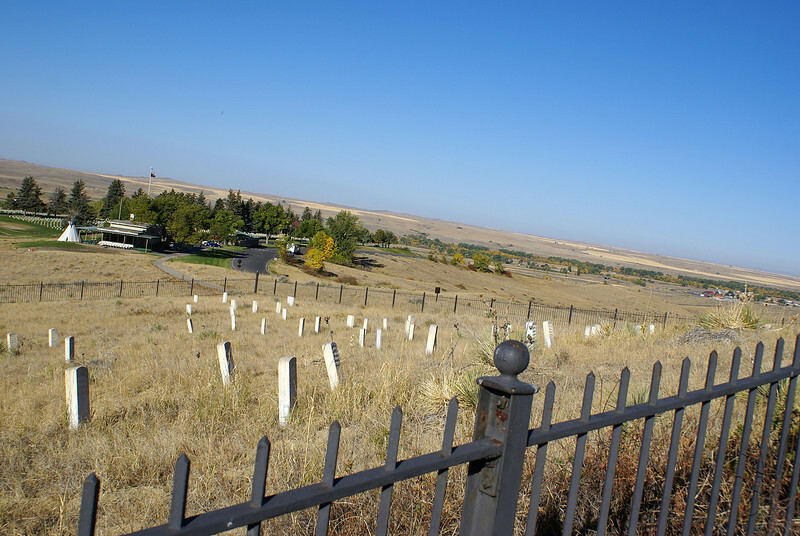 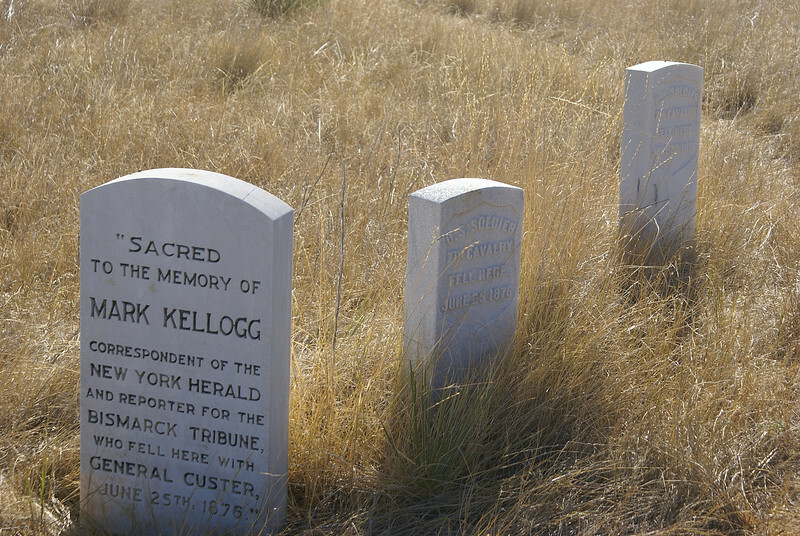 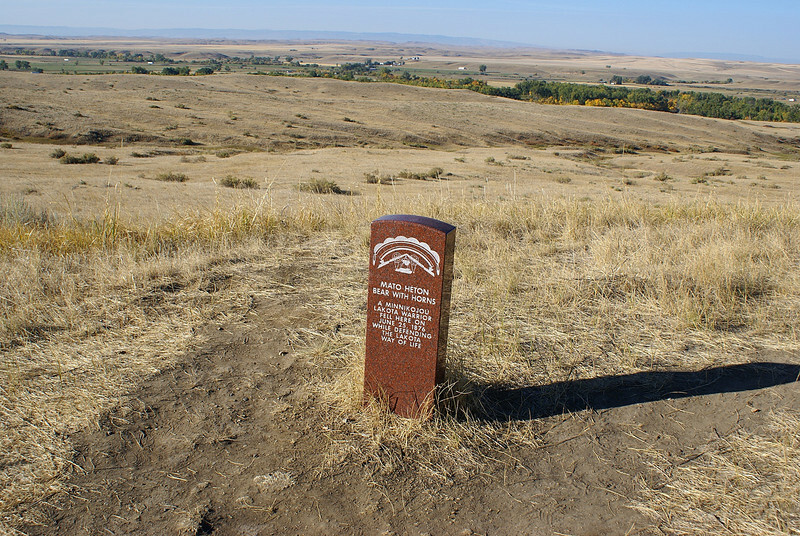 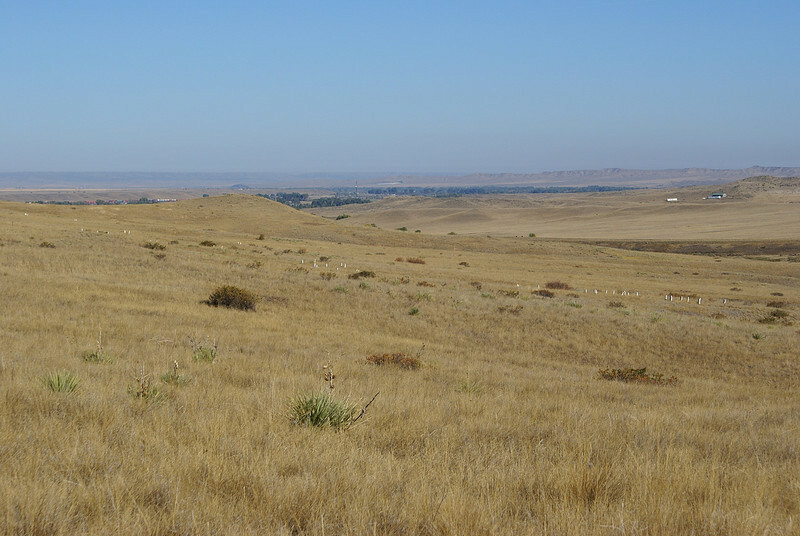 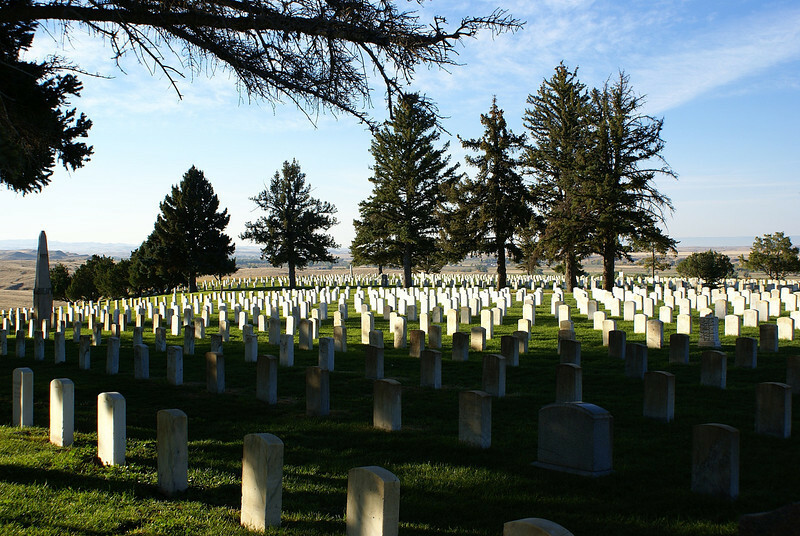 Little Big Horn National 7th cavalry cemetery.the 7th continues to this day. 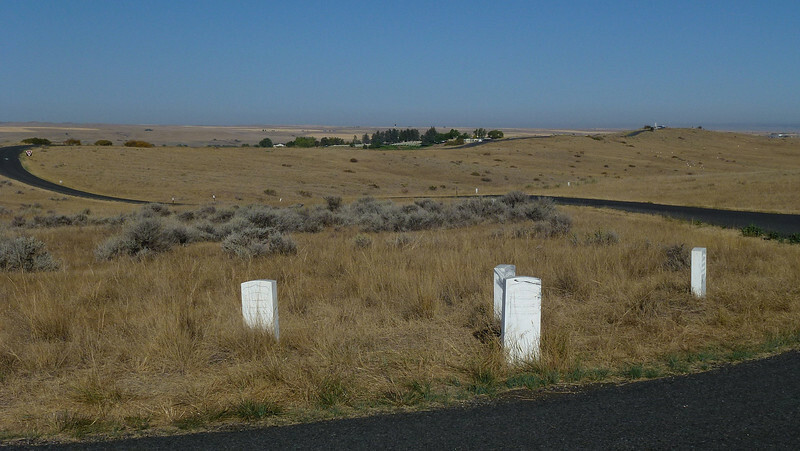 The white markers are where the troops fell. 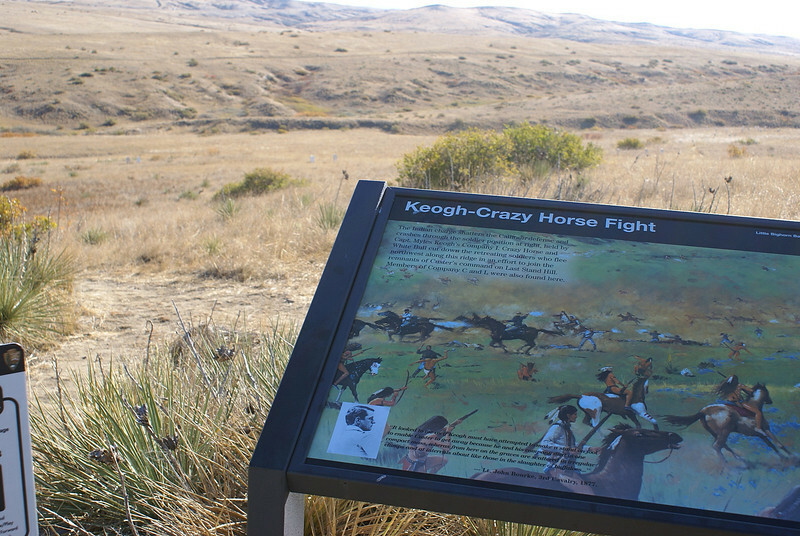 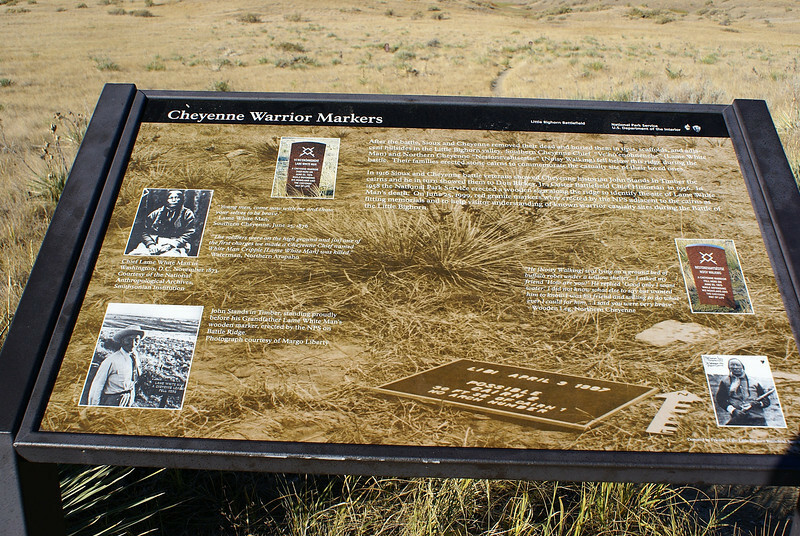 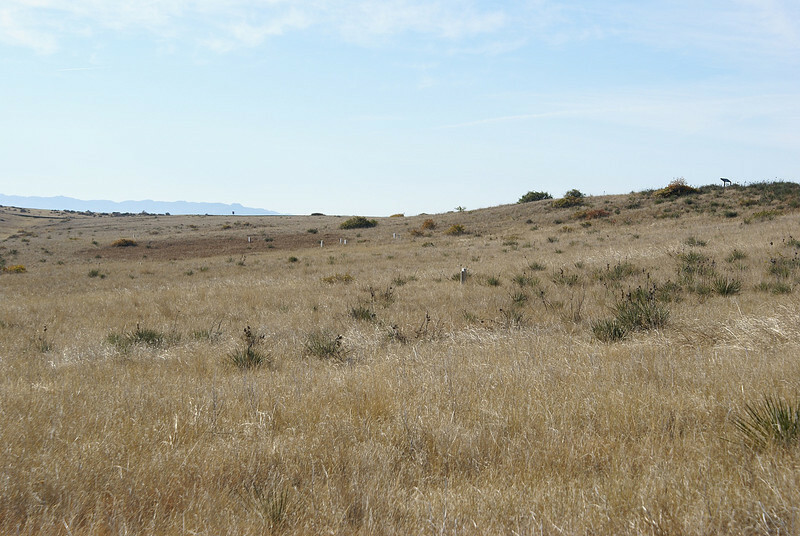 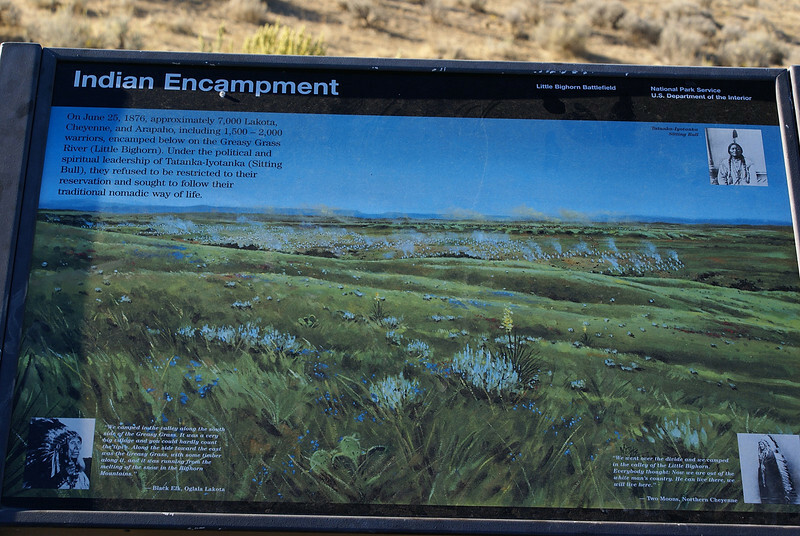 The brown markers are where the indian warriors fell. 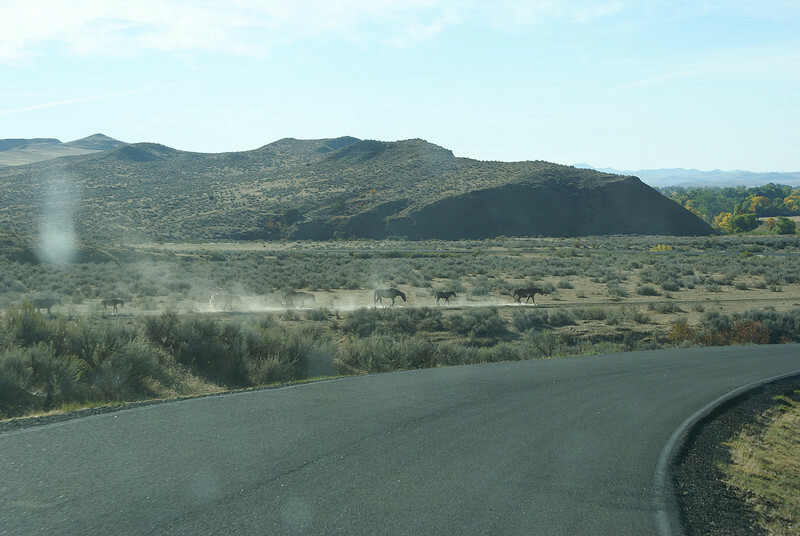 just some horses kicking up the dust on the hill at Little Big Horn. 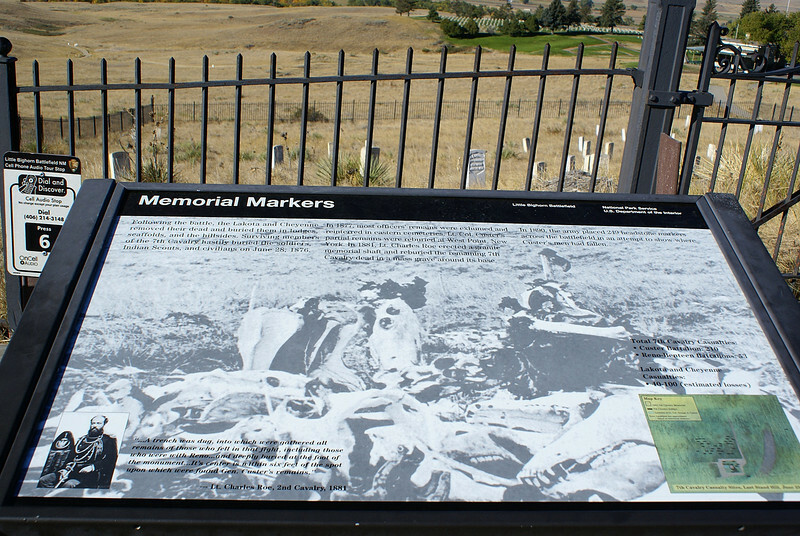 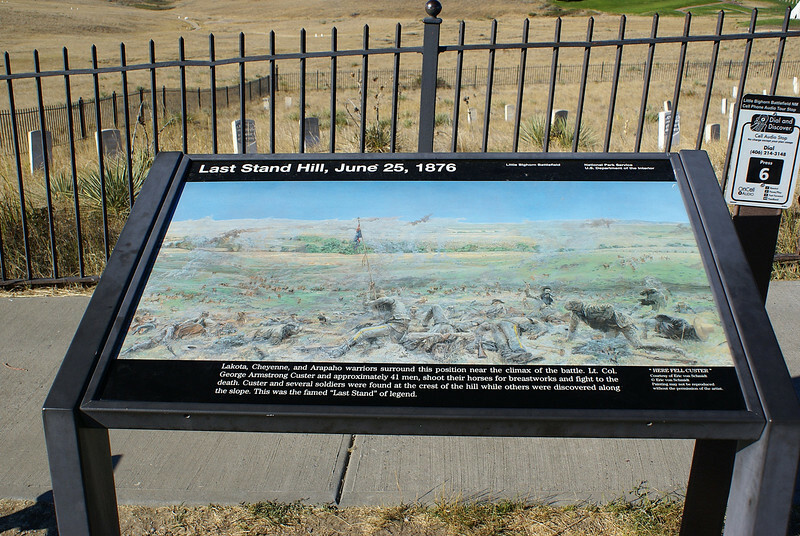 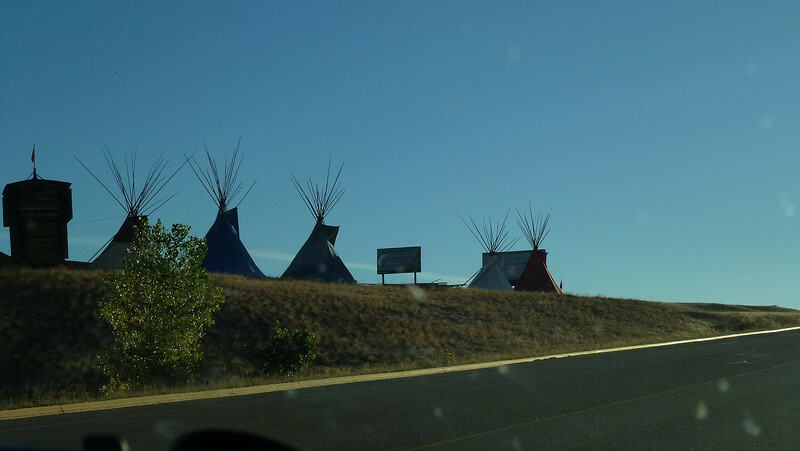 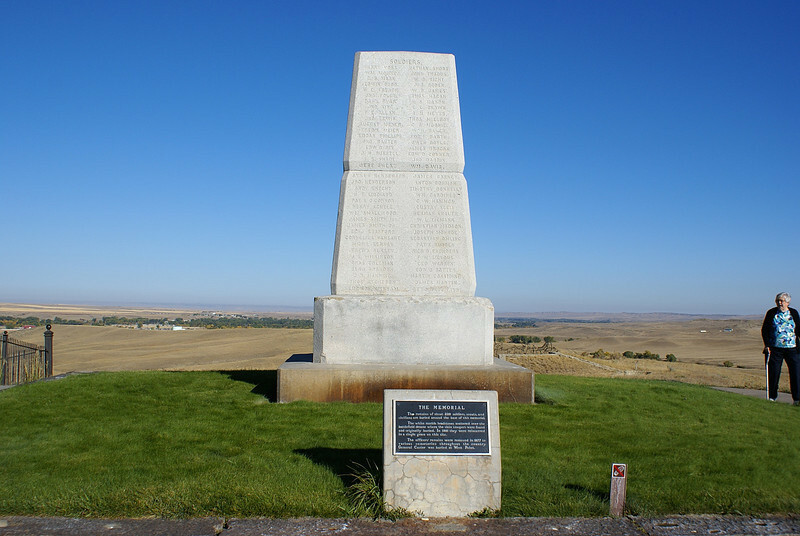 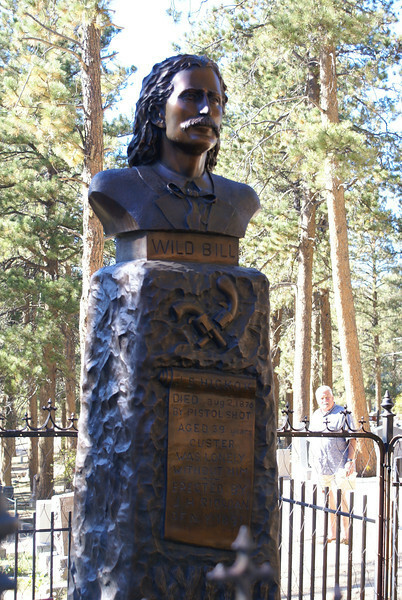 The remains of all the soldiers were shifted to this site where Col.custer fell and a monument was erected to their memory.It is interesting to know that one of the fallen was a journalist who had come with the troops to send back news of the supposed routing of the Indians by Custer. 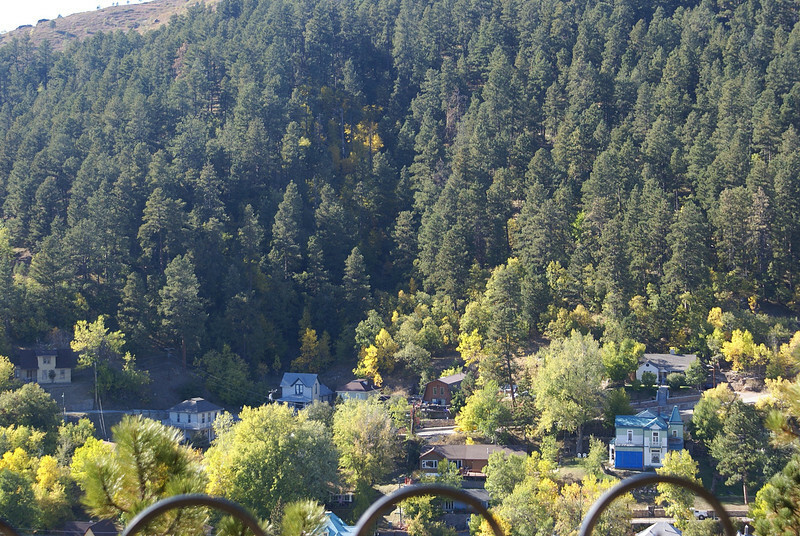 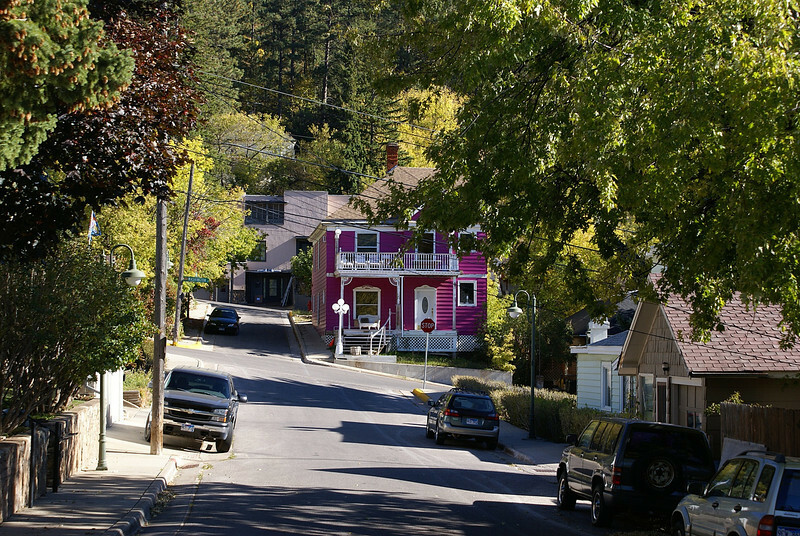 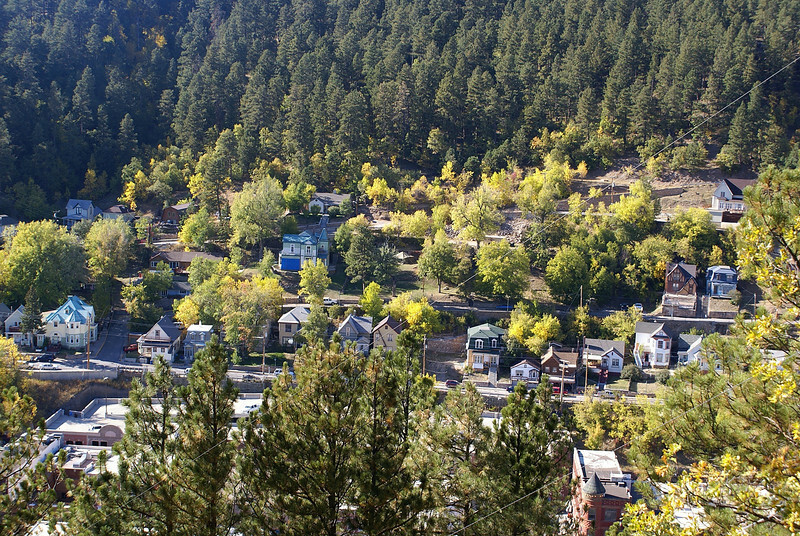 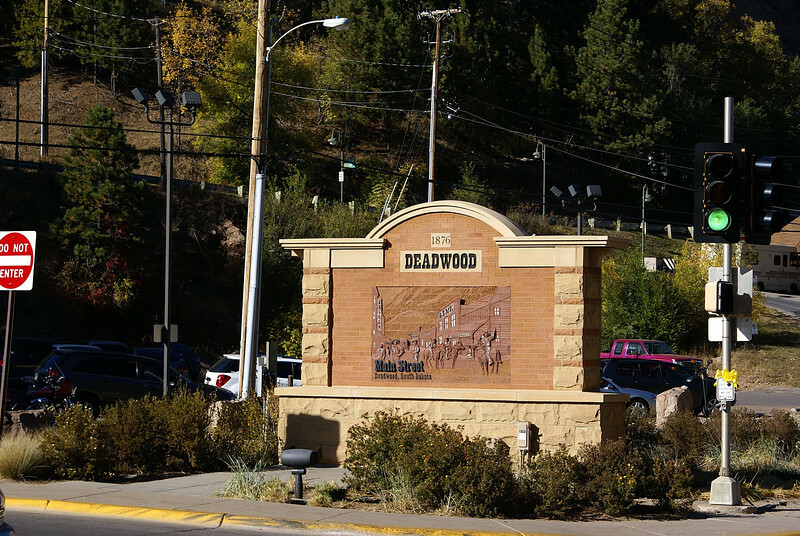 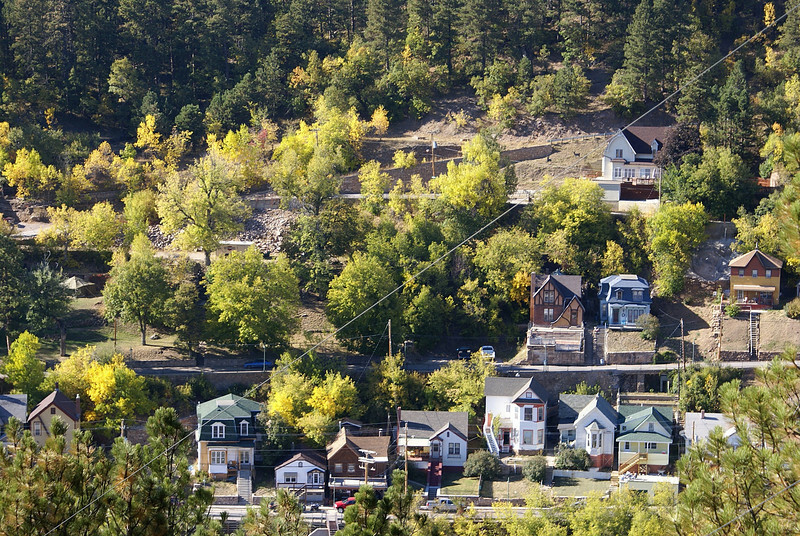 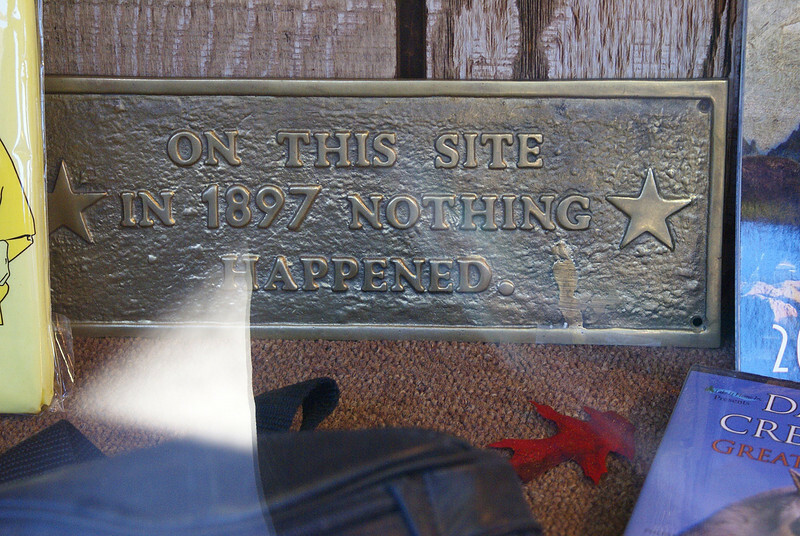 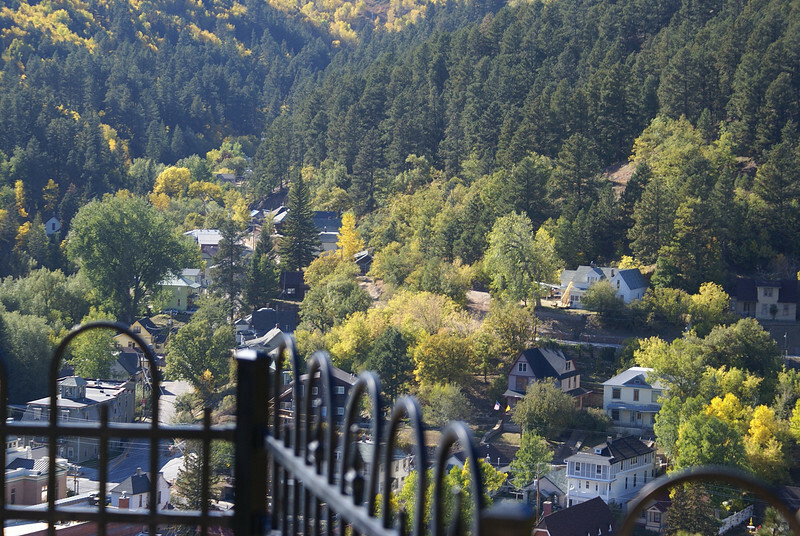 This is Deadwood. 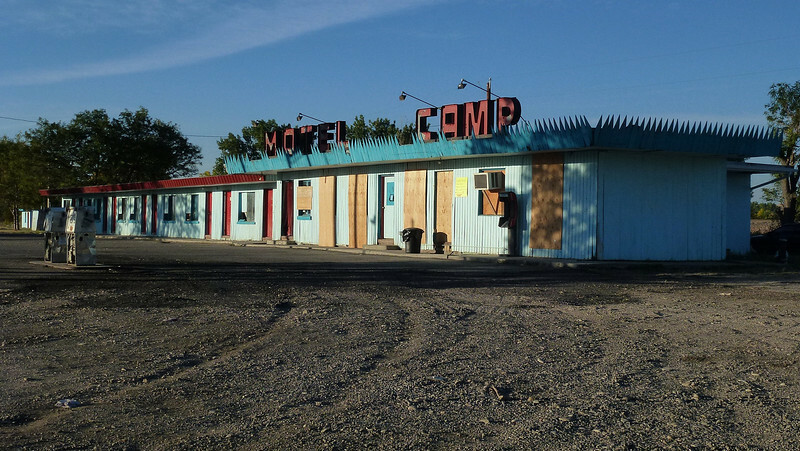 It was a pretty dead,go nowhere sort of place until gambling was introduced in the 80s.and ofcourse the tv series woudnt have hurt it. 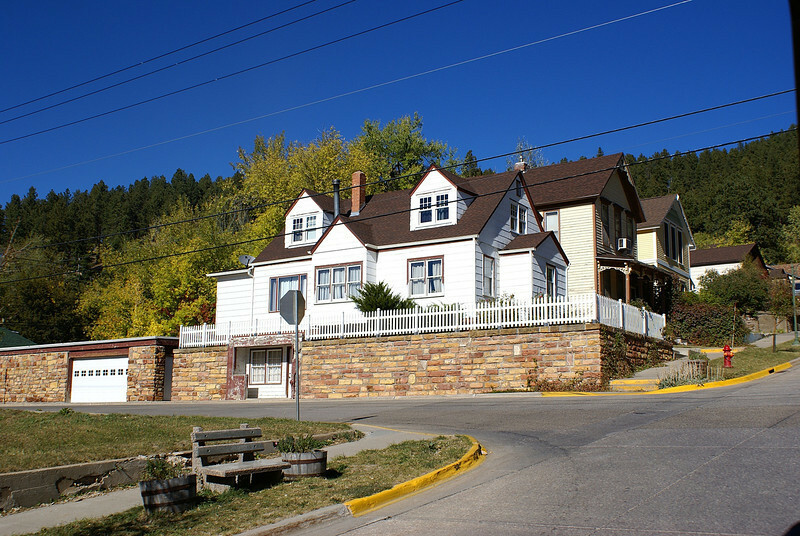 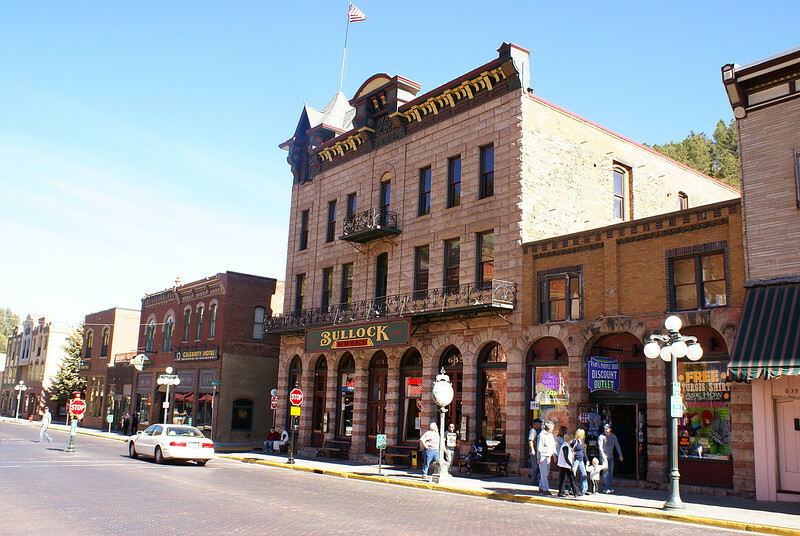 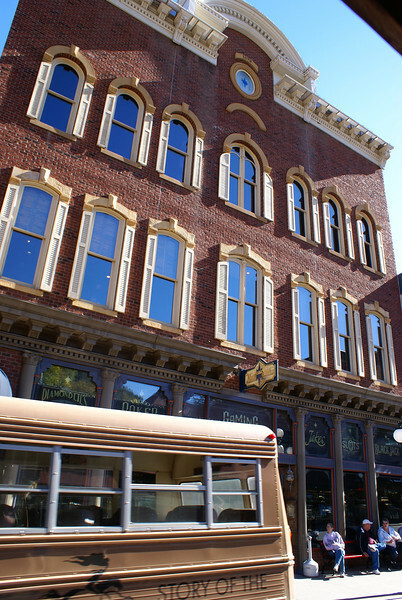 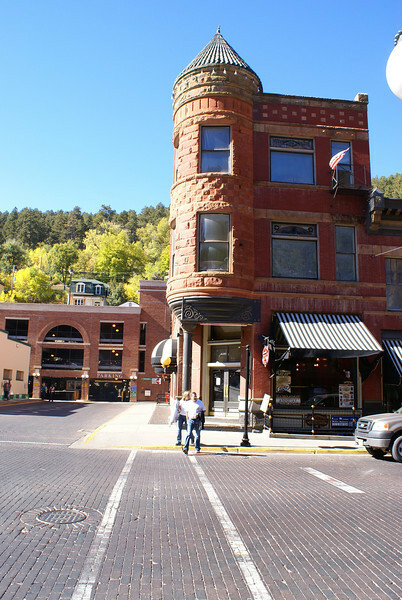 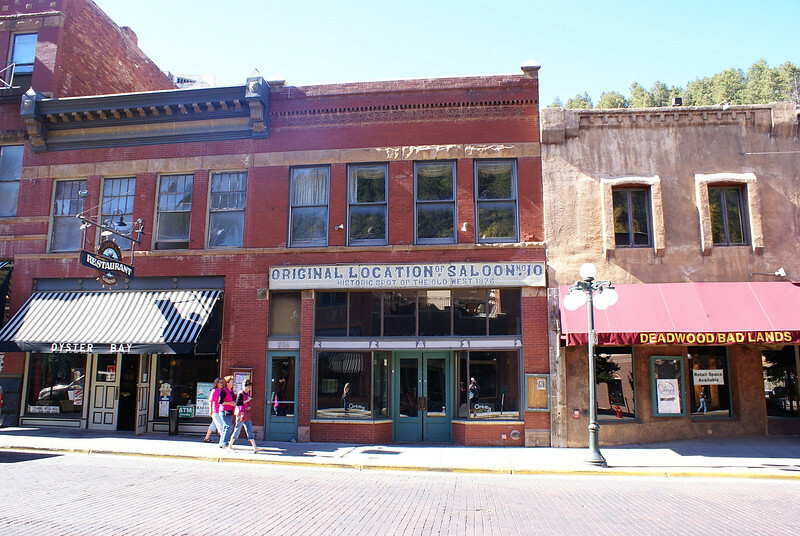 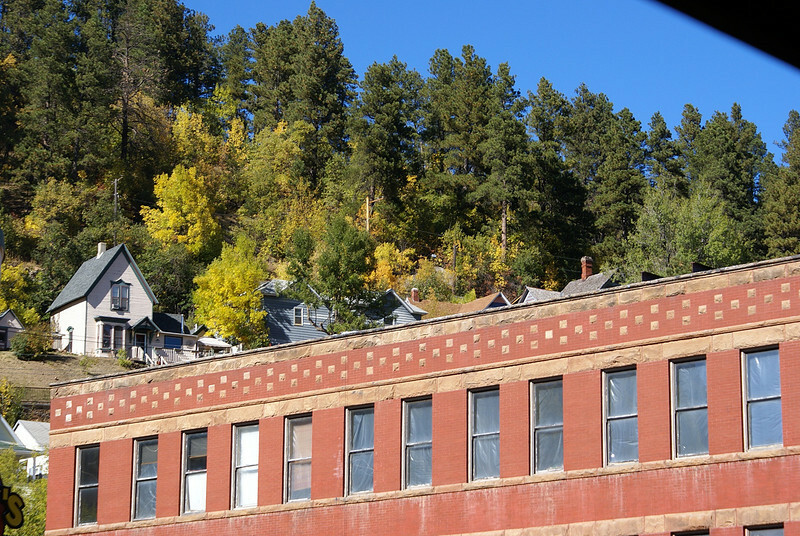 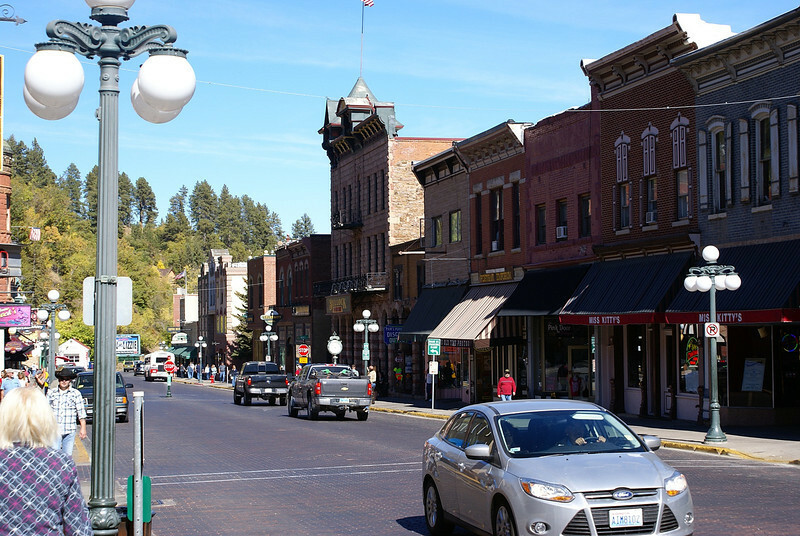 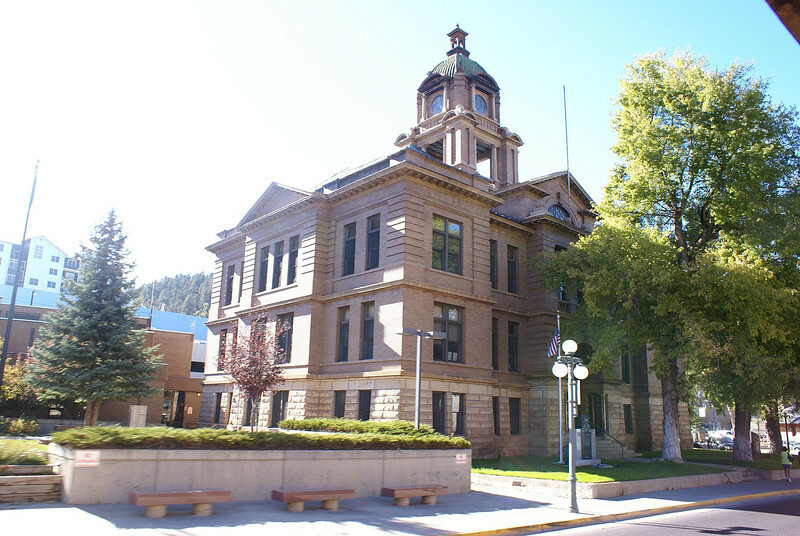 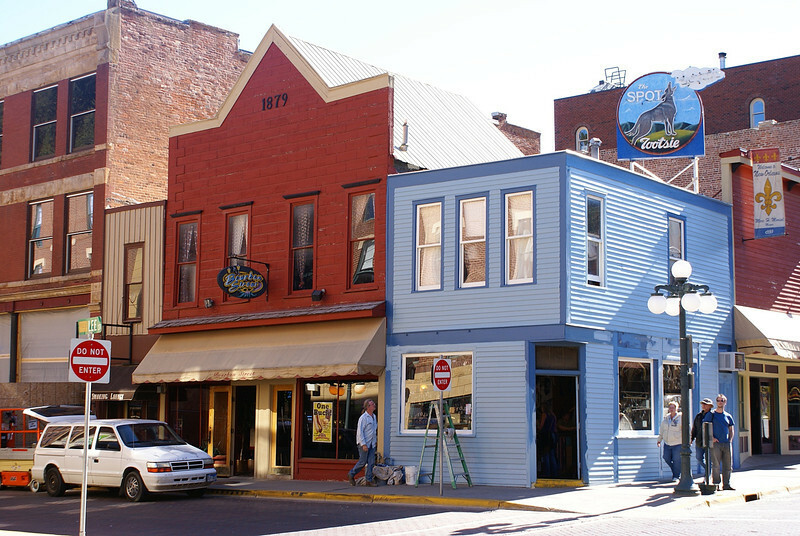 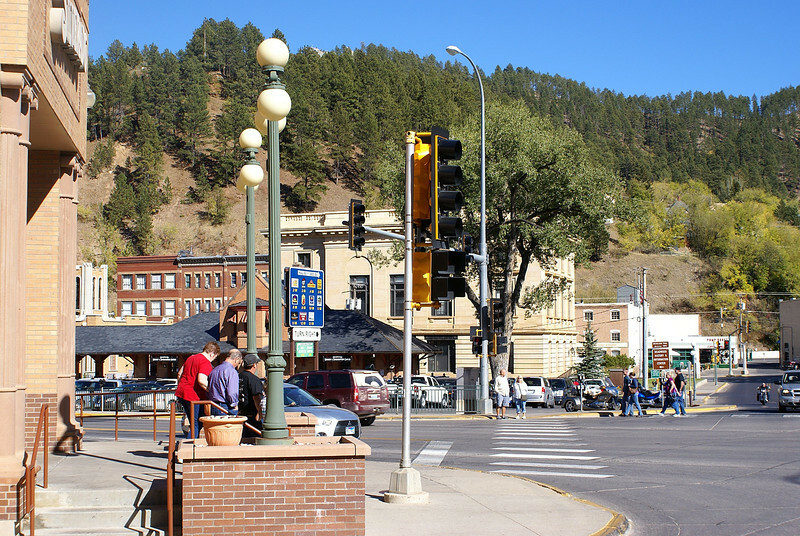 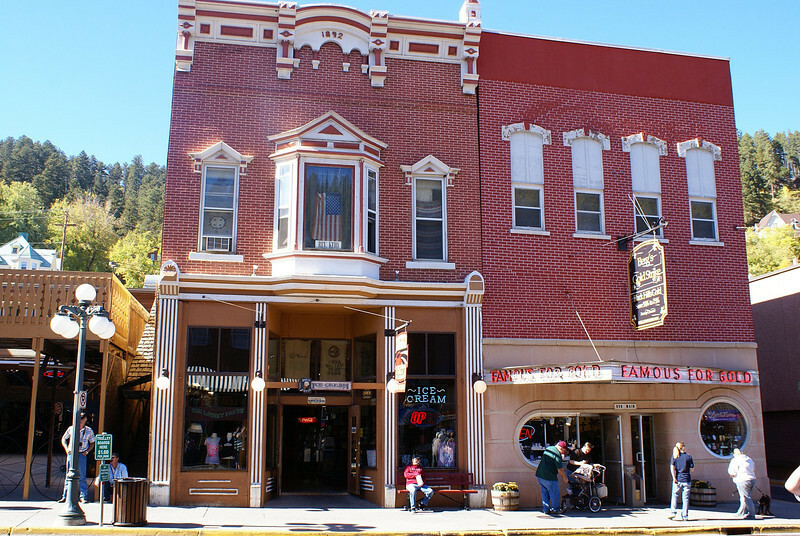 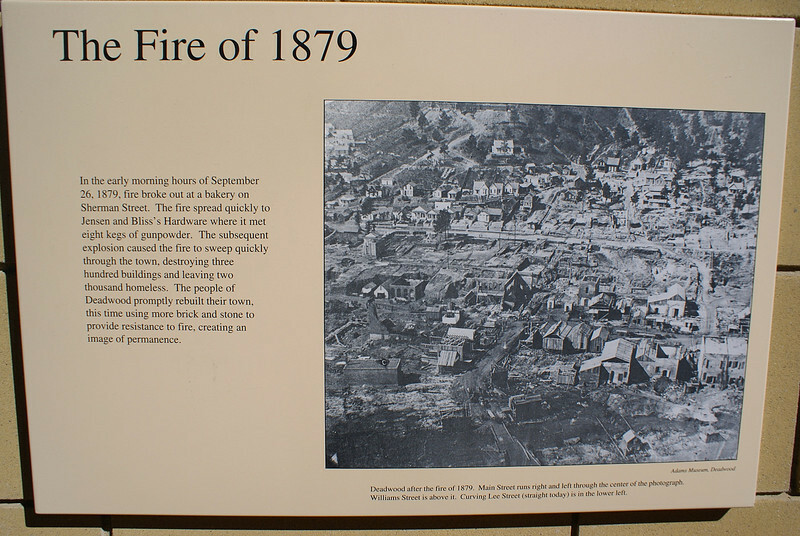 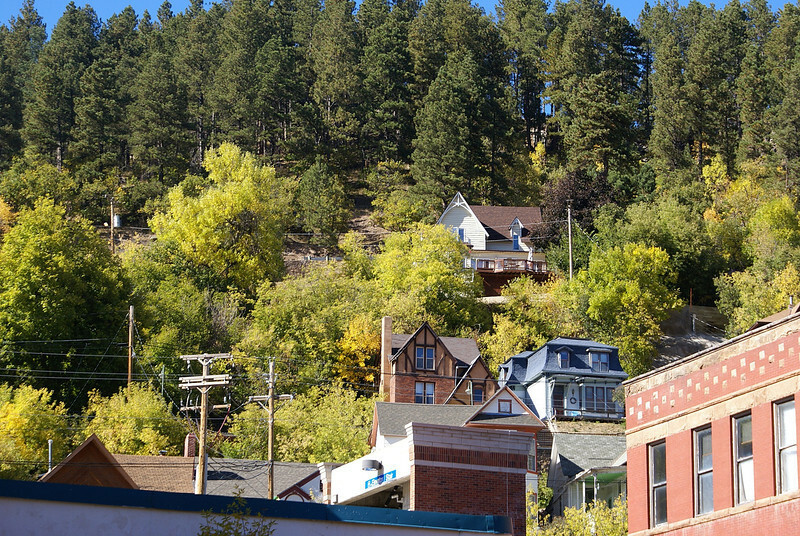 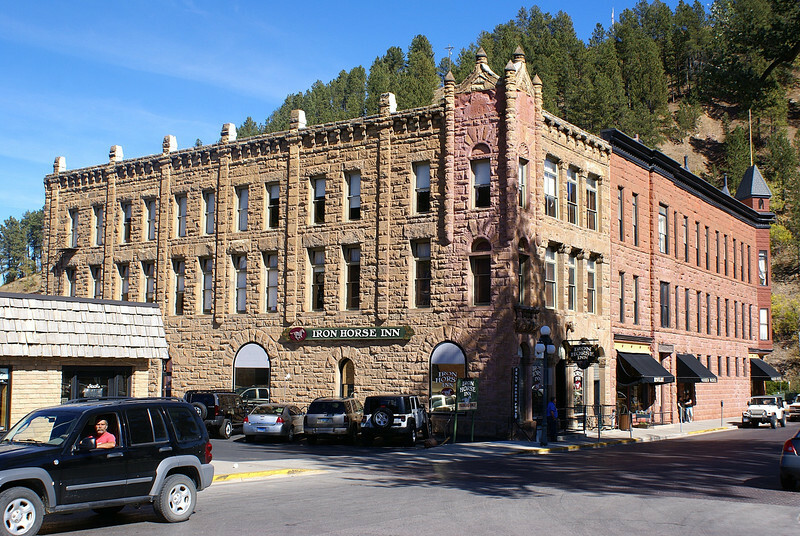 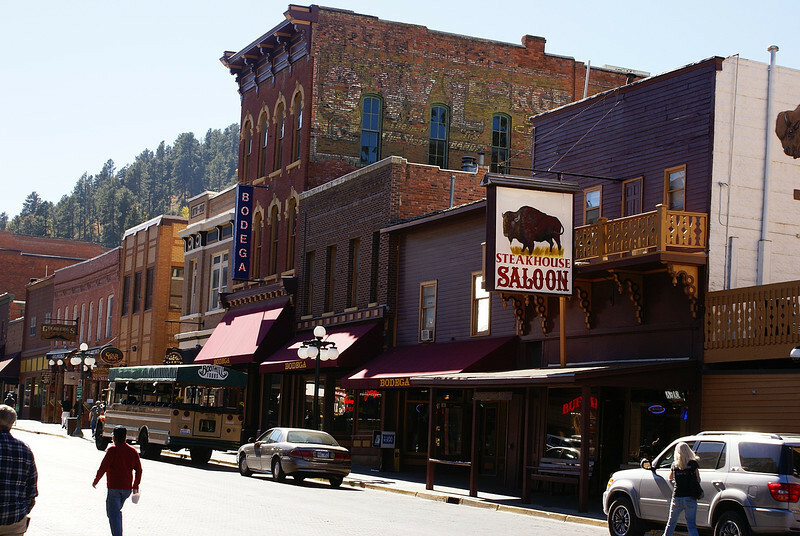 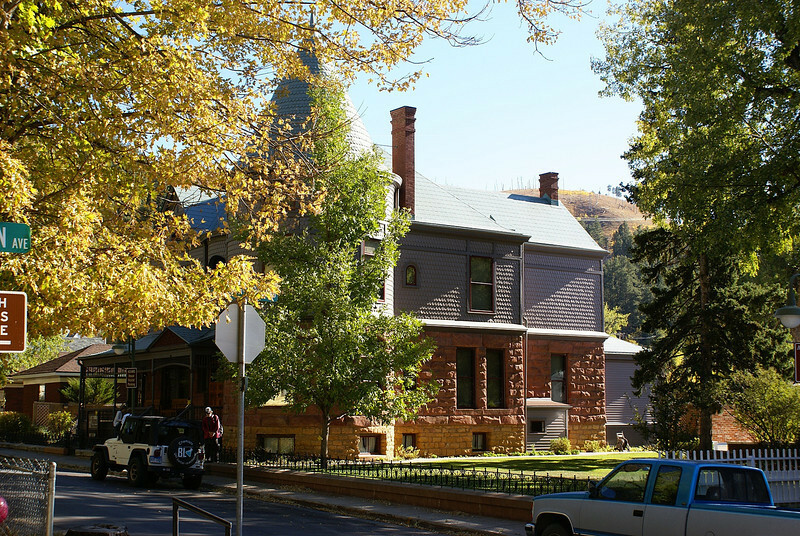 These are the two oldest buildings in Deadwood.They were built directly after the fire of 1879. 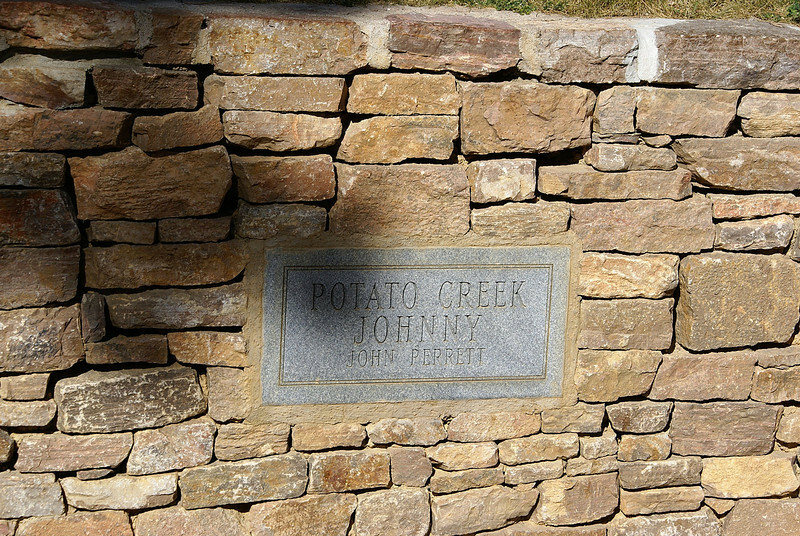 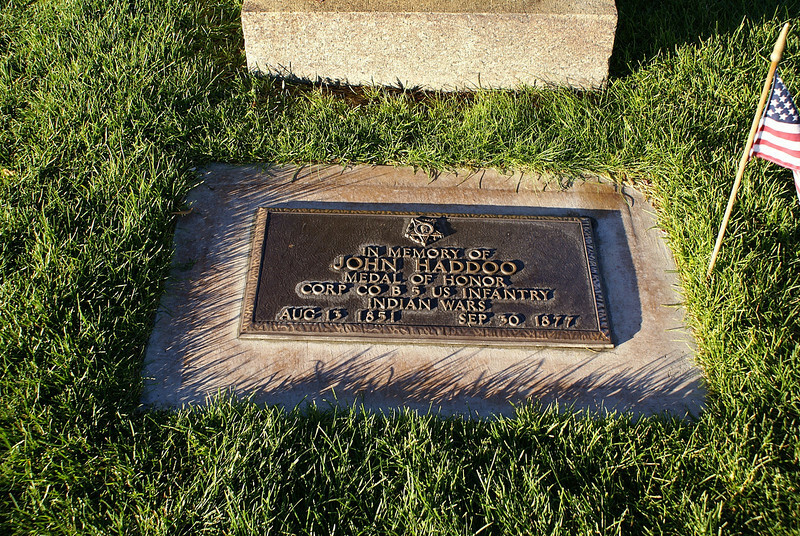 Potato Creek Johnny was 4ft 7" tall but he found a nugget of gold.which hence brought him fame.